Arcade game consoles at Round One's location at the Exton Square Mall. Japan-based Round One Entertainment Inc. plans to open its first arcade and entertainment venue in a U.S. city center at the former Gallery at Market East shopping mall. 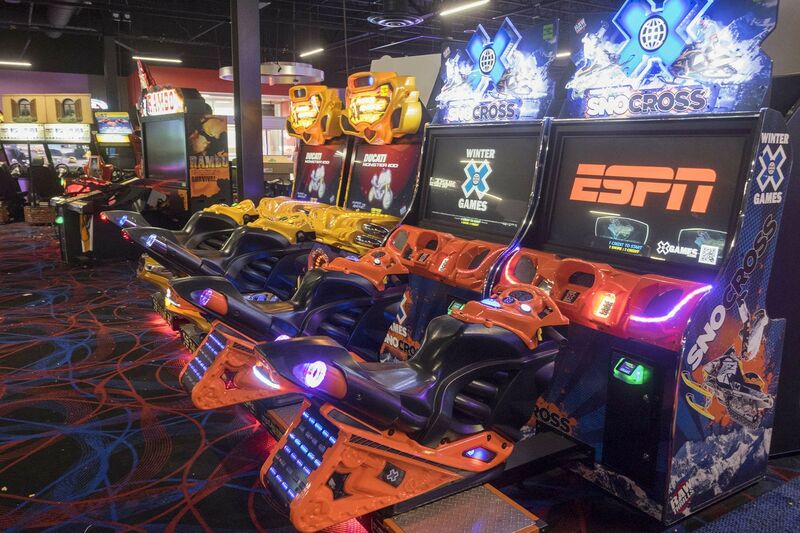 Round One centers offer arcade games, billiards, bowling, karaoke and other activities. The Philadelphia location will occupy more than 60,000 square feet on the third floor of the former Gallery’s westernmost building, which it will share with an AMC Theatres cinema, Pennsylvania Real Estate Investment Trust, one of the property’s owners, said in a release Wednesday. Round One also will serve food and alcohol, said Philadelphia-based PREIT, which is redeveloping the Gallery with partner Macerich of Santa Monica, Calif. Fashion District Philadelphia, as the Gallery redevelopment is called, is scheduled to open in September. Other tenants include a City Winery music and dining venue, retailers such as H&M, Asics, and Levi Strauss & Co., and a food court with vendors such as Oath Pizza, Chickie’s & Pete’s, Dallas BBQ, Chick-fil-A, Pei Wei Asian Diner, BurgerFi, Freshii, and La Madeleine. Round One was founded in Japan in the 1980s and has been expanding across the United States, mostly by taking over space left behind by disappearing and downsizing retailers in suburban malls. It opened its first U.S. location in Southern California in 2010 and now has more than two dozen locations nationwide, including one in Chester County’s Exton Square Mall. The Fashion District location will be Round One’s first in a “nonregional mall, and we hope to continue our growth in similar retail environments across the country,” Shane Kaji, the company’s executive vice president, said in the release.